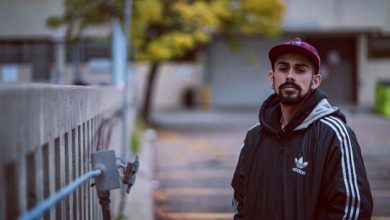 Standing in the middle of Churchill Square, Edmonton’s central civic plaza, it’s apparent that a ton of construction is going on downtown. Jackhammers, fencing, and construction workers are visible with the Valley Line construction and Stanley Milner Library renovation to the south, and the City Hall Wading Pool refurbishment to the north. 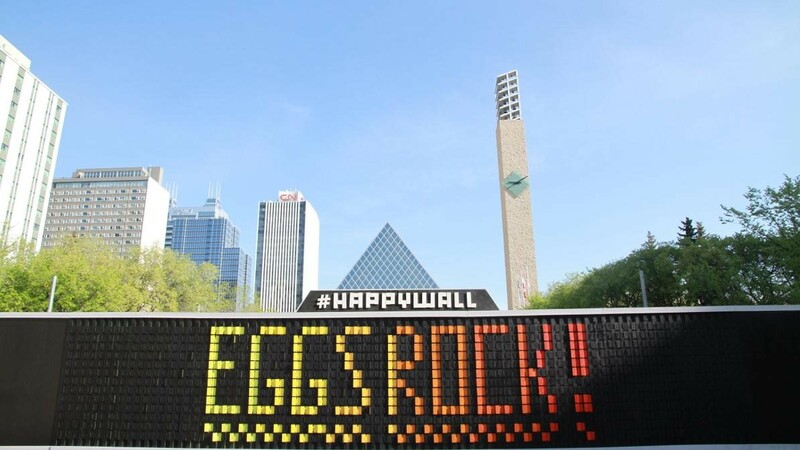 But in the middle of Churchill Square something else has sprung up: the Happy Wall, a 17 metre-long wall of over a thousand flappy little wooden panels where Edmontonians are welcome to create images and spell out fun phrases. The Happy Wall originated in Copenhagen with artist Thomas Dambo, who creates large scale installations that utilize recycled materials. 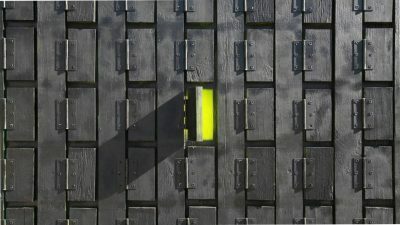 The Edmonton Arts Council, the Civic Precinct, and Integrated Infrastructure Services presented the Happy Wall in Edmonton as a collaborative effort. With this project, these organizations hope to bring about activity in the plaza while it undergoes rejuvenation. 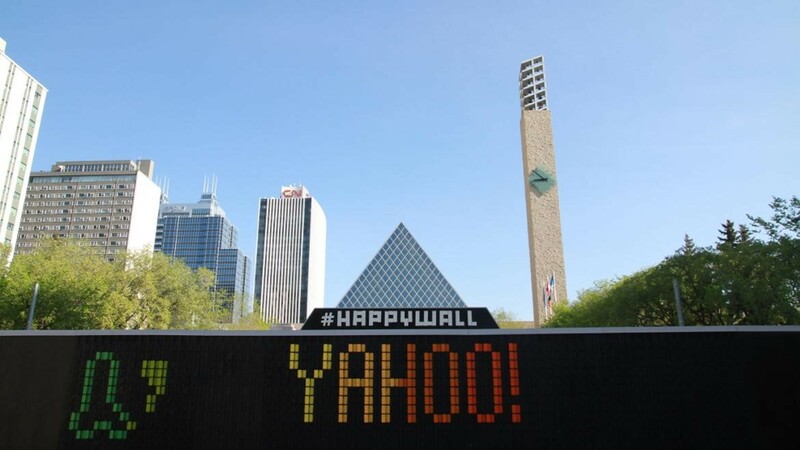 Edmontonians can leave whatever message they please upon the Happy Wall from now until May 2019. 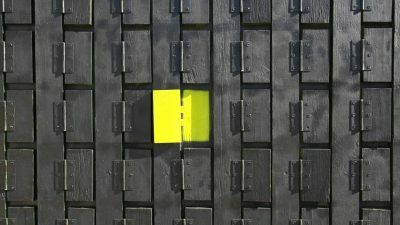 No one other than roaming security guards monitors the wall, so the public can put up whatever they want — just like these two 13-year-old boys did when they created a phallic pixel image on the board. 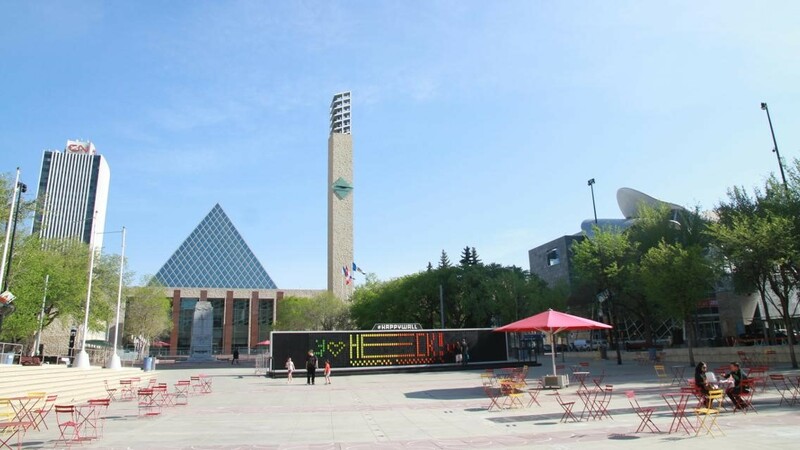 So head out to Churchill Square and create your own technicolour message for Edmonton on its Happy Wall.